Qualify for your multi-state AZ CCW permit, and learn the fundamentals of proper firearm usage with added range time. 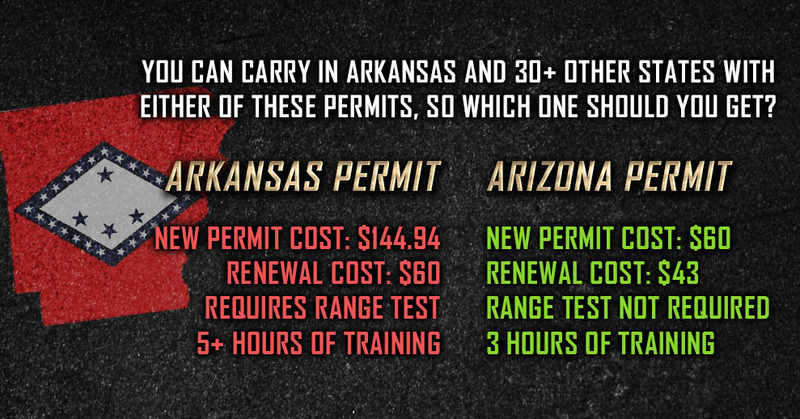 Qualify for your AZ non-resident CCW permit, which will allow you to carry in Arkansas and 30+ other states. Range time not required or included.